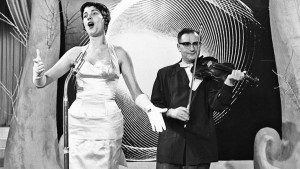 At the age of 83 the first winner on behalf of the Netherlands, Corry Brokken, passed away and for many eurofans still remember her as the nightingale of the Netherlands. The singer had participated 3 times in the Eurovision, in 1956 with the song “Voorgoed voorbij” ( “Over forever”) where the place remain till today unknown, in 1957 with the song “Net als toen” ( “Just like then”) 1st place and in 1958 with the song “Heel de wereld” ( “The Whole World”) where she ended last. Corry Brokken was born in Breda, Holland on the 3rd of December in 1932. 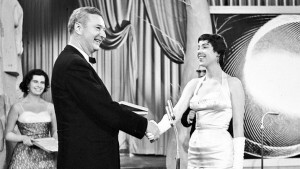 She represented her country three times in the Eurovision Song Contest, achieving the first win for her country in 1957. It was also the host of the Eurovision song contest in 1976 and in 1997 announced the votes for her country. Note that up to date is the only contestant in the Eurovision which has obtained the first and last place. Corry was family’s oldest child, a family that after the war was fighting for its survival and despite the difficulties, the dream of Corry was to become a singer. After several temporary jobs Corry did she finally took its first steps in the song industry in 1952 through the radio show “Een Lied En Een Vleugel ” (a song and a wing). After that, numerous appearances with famous orchestras of the time and dance troupes followed and ended with lot of success. 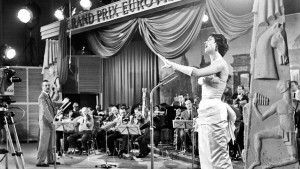 Corry’s victory in the Eurovision contest makes her famous in her country and In 1960 she managed to climb into the number one in the charts with the Dutch version of the song “Milord” by Edith Piaf. Apart from the Netherlands, her reputation was spread in the neighbor Germany which presented various shows, as she did in the Netherlands. She also participated in several film productions of the country. Her discography started in 1962 with the song “Mijn Ideaal” (My Ideal ), while the ’71 album of hers was called “Nancy” which was dedicated to her twelve-year-old daughter. In 1973, and while she is one of the most famous singers of the country, Corry doing an 180-degree turrn begins her studies at the Law School where she carries out successfully, and stayed away from the song industry. After completing her studies, she opened with her husband and fellow student Jan Meijerink, a law firm in the Netherlands and later appointed as a judge in the Dutch city of Den Bosch. After an absence of nearly 20 years, Corry decided to return to the song area in 1996, with the album “Nooit Gedacht” (Never thought) but with no great appeal to the public. In 2000 she published an autobiographical book entitled “Wat Mij Betreft” (As for me) and in 2006 a DVD followed with a review of her successful career and had the tittle “Een Avondje Uit Met Corry Brokken” (A night out with Corry Brokken). In 2008 she survived a heart attack while in 2009 the second autobiography with the tittle “Toegift” (Encore) followed where there she described her life after the advent of the new millennium. Eventually, the heart of hers betrayed her while she closed her 83 years of age. We will always remember you our beloved Corry….. R.I.P. 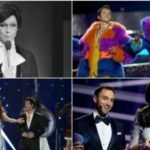 « Eurovision in the American “The Late Show”.